A basic website sounds so simple, and it can be, and basic websites make up the majority of websites you will find on the Internet. A good basic website is comprised of structured html code, images and easy navigation. Additional elements may be added to enhance the website and the visitors experience, such as elements of Dynamic HTML, forms, image effects, photo galleries, shopping carts and password protected areas just to name a few. Whether you simply want to establish a basic online Internet presence or if your need is for a highly customized website with a great deal of functionality, it makes no difference to Fort Worth Web Design, as we provide the same level of care and attention to both. If you are a business that is just starting out or one with greater needs, if you want to share your products or services to an online market, Fort Worth Web Design can make that happen. We understand that you want to compete and grow your business and be found on the web, your website must be properly optimized. In other words, your online presence must meet certain criterion in order to rank high in the major search engines. We at Fort Worth Web Design know how to create a website so that it includes the right structure, layout, key words, navigation and a properly submitted process. 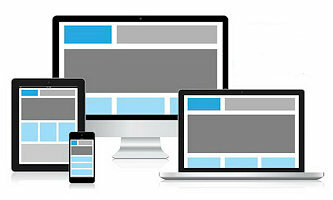 Responsive web design (RWD) is an approach to web design aimed at allowing web pages to be viewed in response to the size of the device one is viewing with. In other words, a single website that can adapt in size to any device it is being viewed on. A "one site fits all" approach. This is more important than ever to have a website designed that will work on a desktop, laptop, tablet, iPad or smart phone. Fort Worth Web Design designs all new sites to be responsive and work on all devices. Even if you have an old site and do not have the budget to create a new site, we can work with you to create a small mobile-friendly site consisting of a few pages to help you with the search engines. E-Commerce: the conducting of business communication and transactions over networks and through computers. Specifically, E-Commerce is the buying and selling of goods and services, and the transfer of funds, through digital communications. 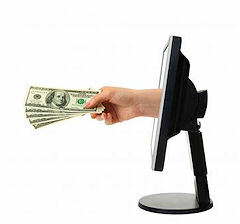 Want to sell your products online? Need to set up a web store or shopping cart? Want to accept credit cards? We can assist you in setting up a secure E-Commerce shopping cart or web store solution that will meet your needs and your budget. At Fort Worth Web Design we will work with you to determine exactly what your needs are now and what they might be in the future, then suggest the options that are available to you in shopping carts and payment processing options. Sometimes it can be as simple as a product page listing a few items and using a PayPal button, or it can be as complex as a product catalog of over 1000 items with various product options of size and color and requiring an online payment gateway such as PayPal, Stripe or AuthorizeNet. Fort Worth Web Design has simple self-administering shopping carts that are PayPal compatible and robust self-administering carts that will work with several payment gateways and offer a myriad of options. Whatever you might require we have a solution. We currently provide E-Commerce solutions using WordPress WooCommece for small stores and Magento E-commerce for larger stores. For a simple product page with under 8 items we suggest using PayPal or Authorize.net Buy Now buttons.